Many of my readers know that I send mystery shoppers weekly to car dealerships around South Florida so that I can learn how they are selling, leasing and servicing cars. I do this for two reasons. The first is that this is a common practice for all businesses to learn how their competition operates and to have the competitive edge you really need to know how your competitors do business. The second reason is that I feature a mystery shopping report on my weekly radio show, Earl Stewart on Cars that airs between 4 and 6 every Tuesday afternoon. I've done hundreds of these mystery shops and I've noticed an interesting trend over the years. Back in the day, car salesmen looked and sounded like what many people consider the stereotype for a car salesman. You know what I mean, gold chains, diamond pinkie ring, sunglasses, loud shirt, and white shoes. As car buyers became more educated, sophisticated, and demanding, it didn't take car dealers long to realize that they had to dress their car salesmen in a nicer fashion, “lipstick on a pig”, But even though they looked nicer, they sounded and acted pretty much the same. With the advent of the Internet, Google in particular, today’s consumer has made a quantum leap in knowledge, education and sophistication. Today’s buyer of virtually everything is far more demanding and far less tolerant of deceptive advertising and sales tactics. The most recent shift I've seen in car dealers’ efforts to make their salesmen seem less threatening is in who they hire and how they train their salesmen to behave. More and more car dealers are hiring younger sales people, and fewer older, experienced salesmen. These dealers want their sales people to treat their customers with courtesy and respect and gain their confidence. We've all heard the terms con man and con-artist. We also know the verb, to con. To con somebody means to steal from them as in Bernie Madoff. Did you know that “con” is short for confidence? A successful con man is good at gaining the confidence of his victim. The con man’s appearance and how he sounds play a critical role in this. I often hear people who were taken advantage of and stolen from say, “He looked and sounded like such a nice person”. Think about that for a minute. How successful could a crook be who looked and sounded like one? The important thing to remember is that it’s usually not the car salesman who is responsible for the deception. Certainly he cannot be held accountable for the deceptive and often illegal advertising. In fact, many car sales people hate the advertising that brings prospective customers into the car dealership by false and misleading promises. Especially in today’s economy, many people work in car dealerships because they can’t find a job anywhere else. Imagine how embarrassing it must be to salesman, new to the car business, when he must try to explain away a bait and switch advertisement. How can you tell a prospective customer that the “sale car” on the showroom floor costs several thousands of dollars more than the one advertised on TV? In my mystery shops, it’s becoming more and more common for the salesman to “nicely” tell my shopper when she asks to see the advertised car that they can’t really buy the car for that price and to apologize for the deceptive ad! These sales people will say right up front that the ad is just to get you to come in so that they can try to sell you a car at higher price. Also, the salesman is often an innocent victim when it comes to the deceptive sales practices. 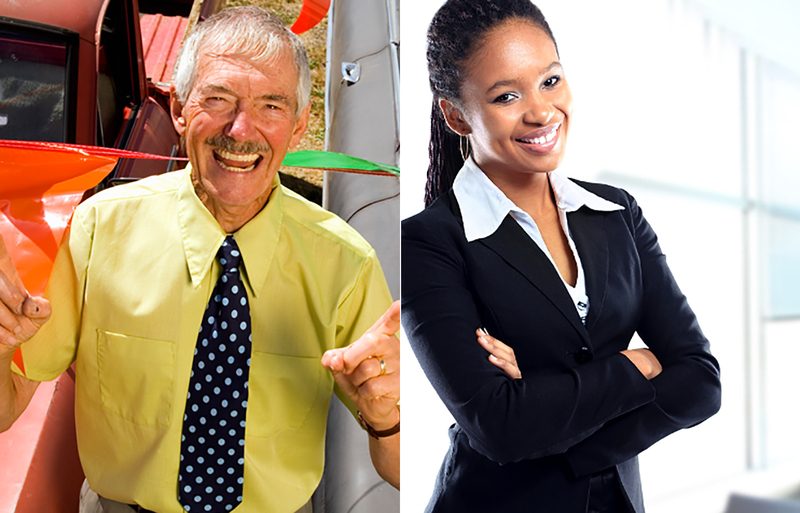 Many car dealers use attractive, friendly sounding sales people to lure the fly into the web. It’s been proven in studies that customers put more stock in the individual they deal with at a store than the store itself. If that salesman can capture your trust and especially if he can make you like him, the car dealership is 90% closer to closing the sale. Today’s sales people are really more “greeters” than sales people. Many car sales people today are not privy to the cost or even the selling price of the cars they “sell”. The true cost of the car is known only by the sales managers who are also known as closers and team leaders. These managers are also the only ones authorized to quote a price. They also appraise your trade-in. The interest rates you pay and the warranties, maintenance plans, GAP insurance, etc. that you buy are all handled by mangers. The bottom line is that it’s not the rude, aggressive car salesman you need to be afraid of. There are very few of those around anymore. The car dealers have wised up and you will be dealing with young, attractive, non-threatening, and polite sales people today. In many cases, they know very little about the unfair and deceptive sales and advertising. What little they do know makes them feel bad but they need the job and want to put food on the table for their family. As much as you like this salesman or saleslady, don’t give him or her your trust when it comes getting a fair price, trade-in allowance, lease payment, or interest rate. That nice, smiling sales person is the dealer’s pawn and is “just following orders”. Verify all of the numbers your new friend gives you by competitively shopping and comparing at least two other car dealers. 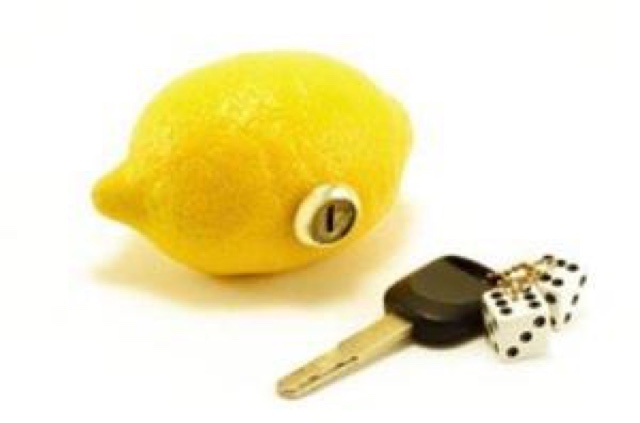 Lemon laws are state laws which give rights to purchasers of new vehicles if they find that they have bought a car with a defect that cannot be fixed in a timely fashion by the dealer or the manufacturer. Every states lemon law is somewhat different but they all have a lot in common and are aimed at the same result. Most car buyers have misconceptions of the lemon law. These are some the most common ones: The car owners think they are going against their car dealer when they are really going against their car’s manufacturer. If you prevail it costs the car dealer nothing. The manufacturer pays. The law applies only to cars purchased as new, not used. If you win a lemon law dispute, the manufacturer or dealer does not simply replace your car with a brand new on. The amount of credit you win toward a replacement vehicle is arrived at by deducting a charge for the usage of your lemon car based on time and mileage.